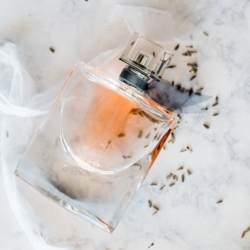 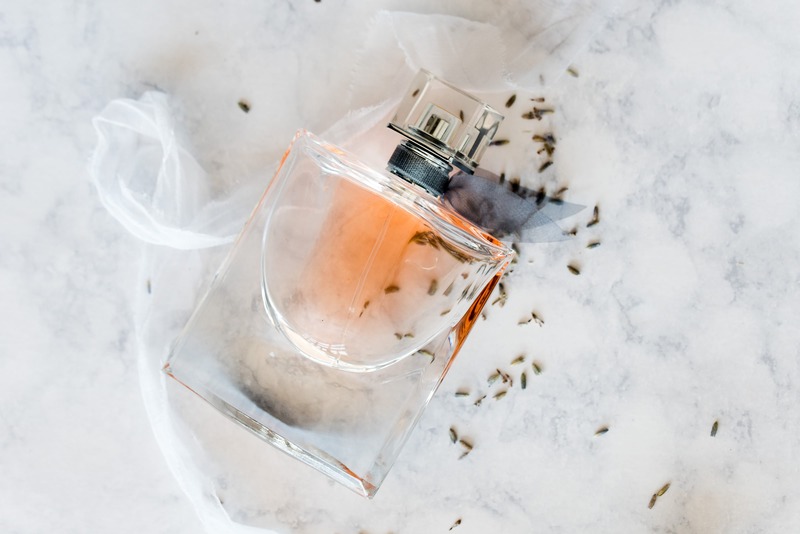 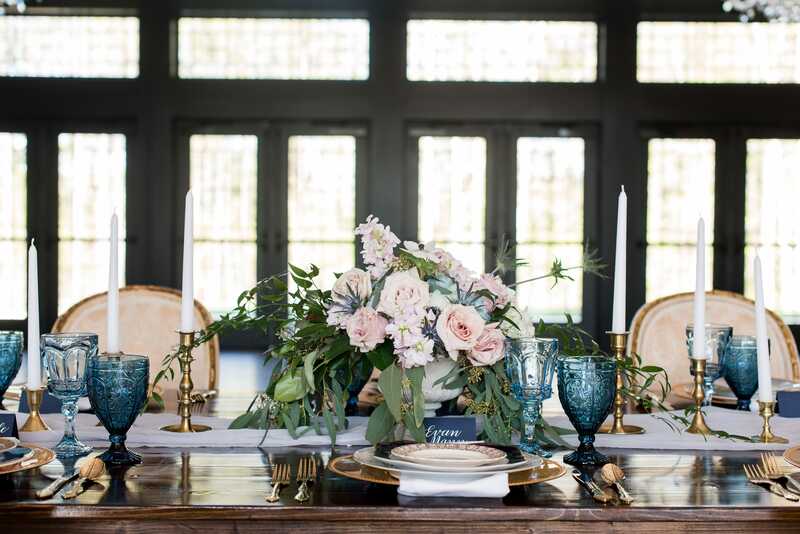 Stefanie Morris from Charlotte Wedding Collective gave me the opportunity to design this styled shoot for her and I’m so proud to have been a part of it. 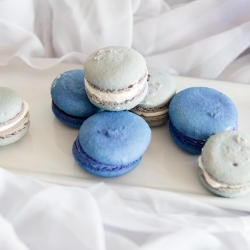 I absolutely love the color blue. 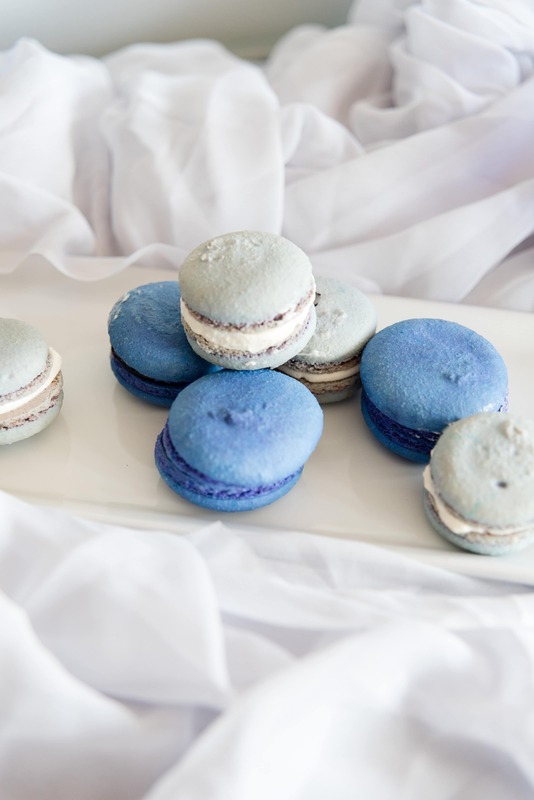 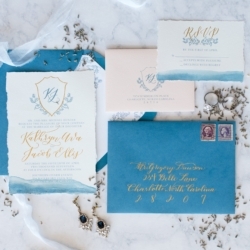 We haven’t seen the French blue (some call it stormy blue) too much for weddings yet (this shoot took place in the summer of 2017), although I think it will be a feature color soon! 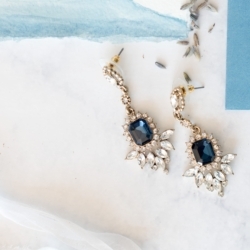 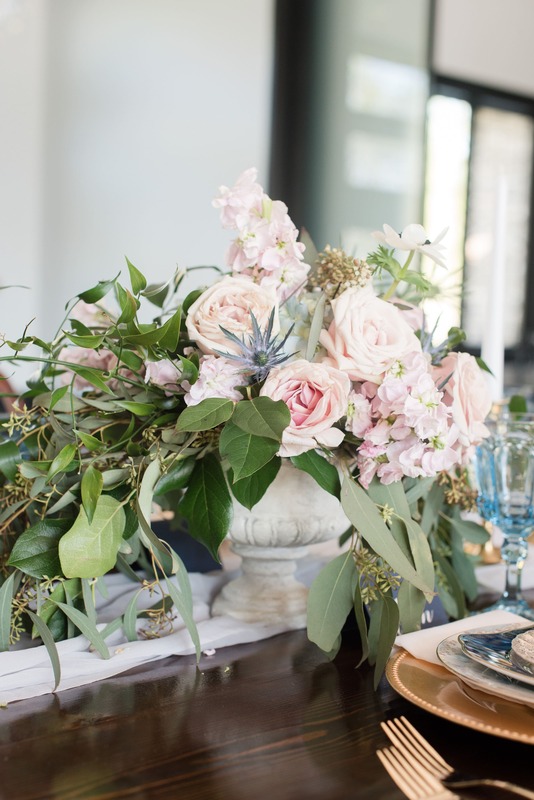 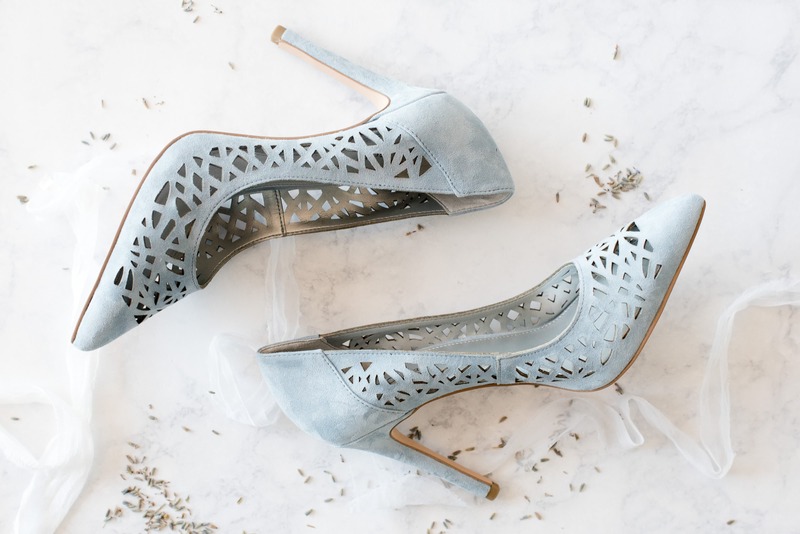 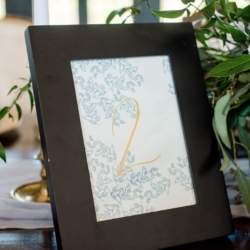 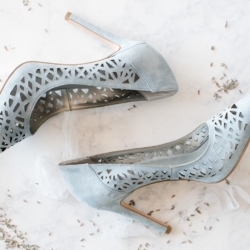 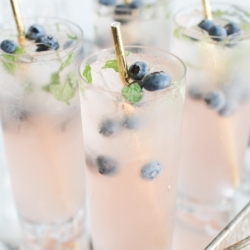 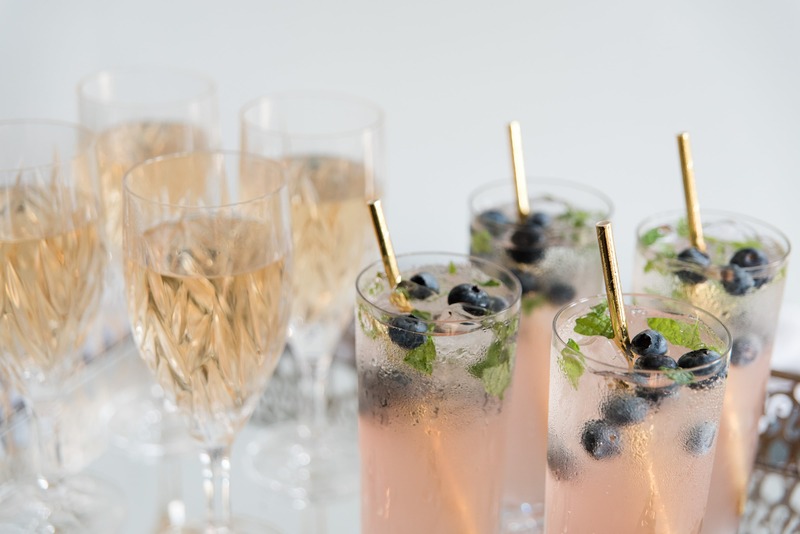 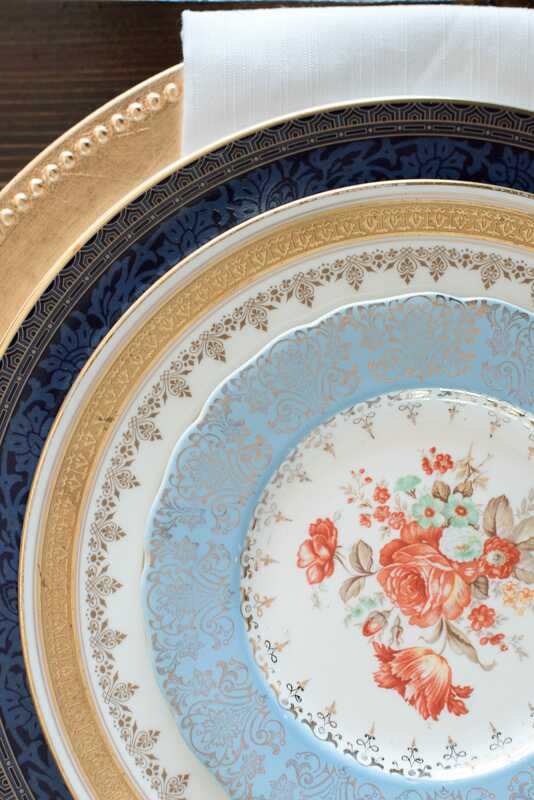 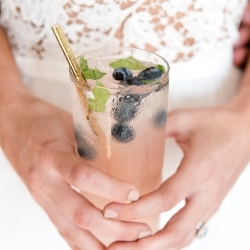 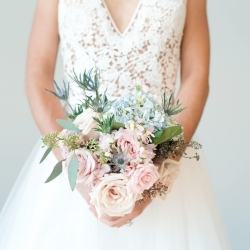 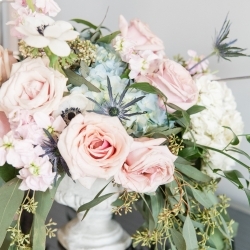 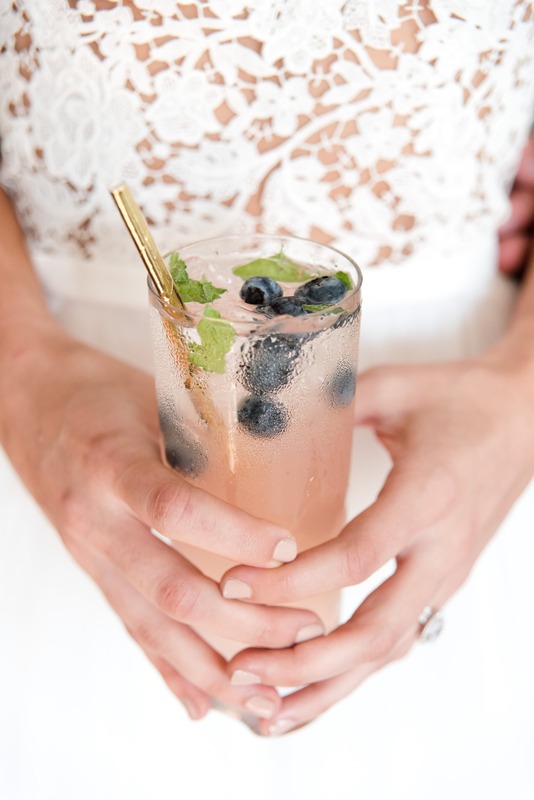 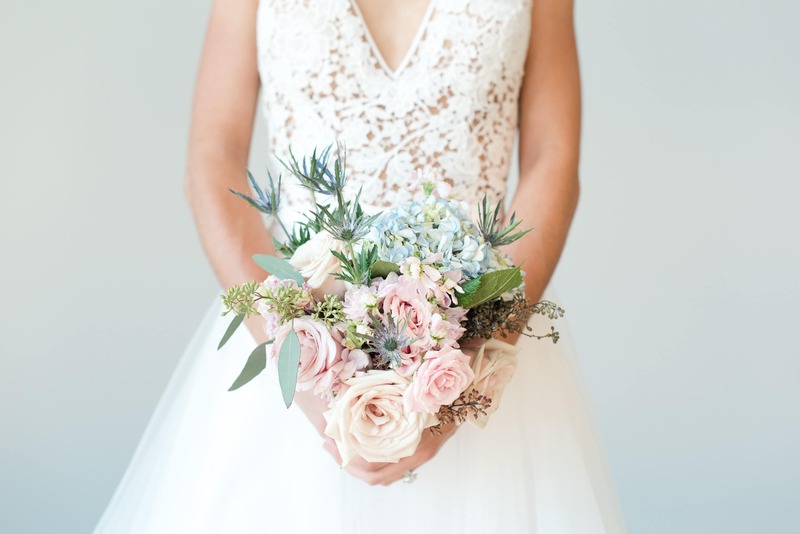 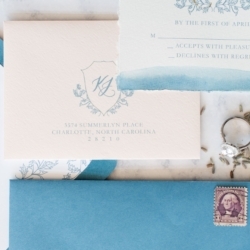 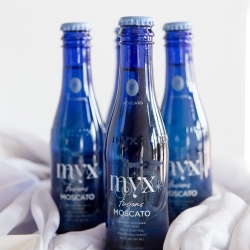 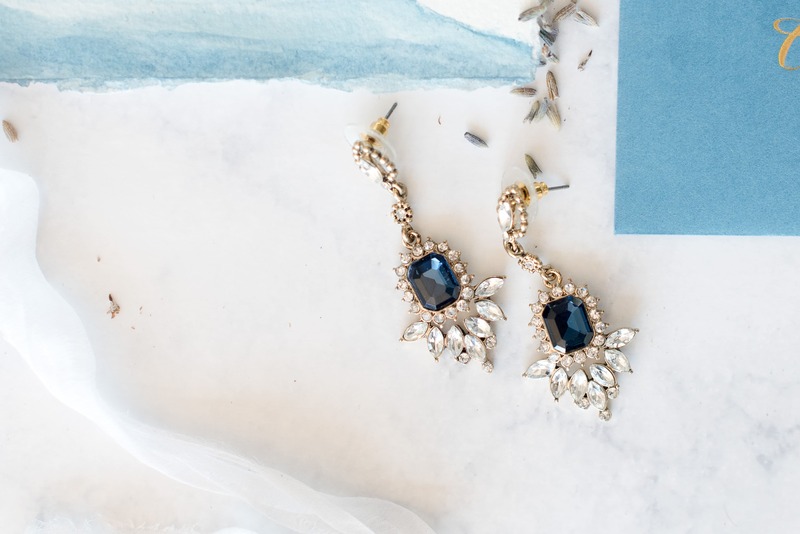 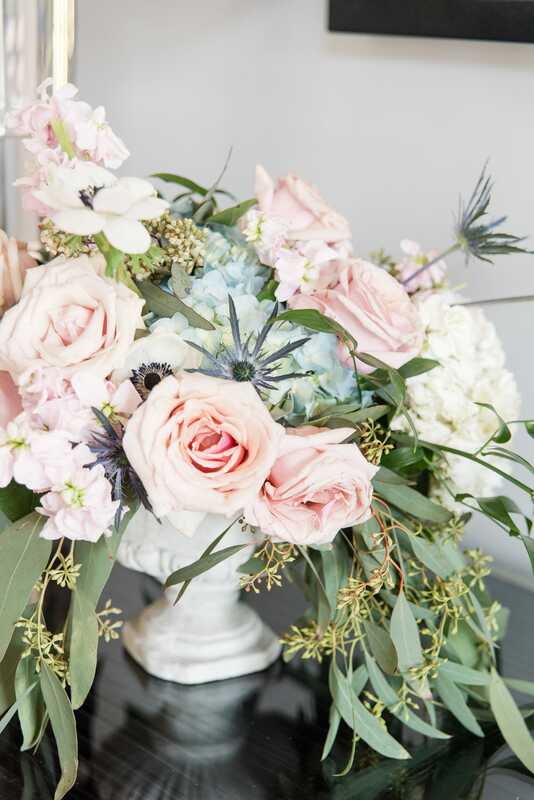 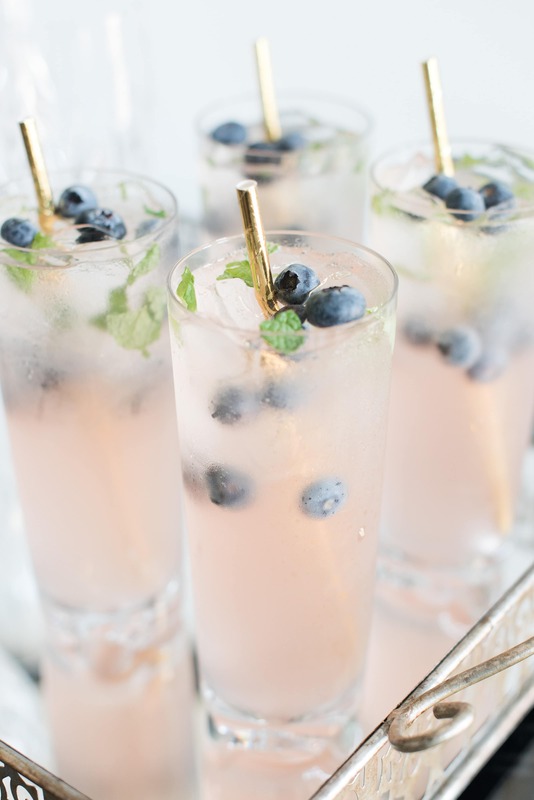 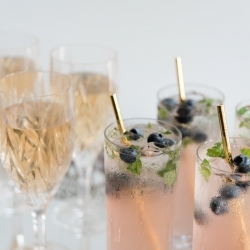 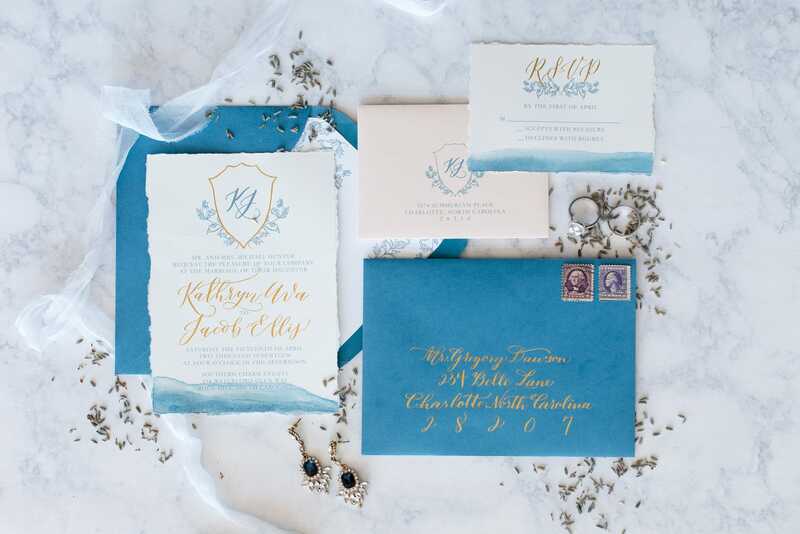 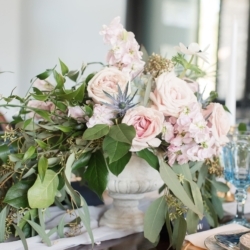 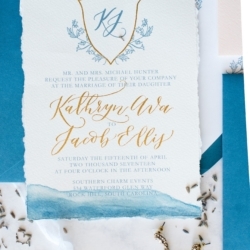 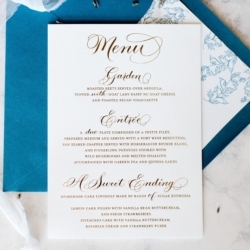 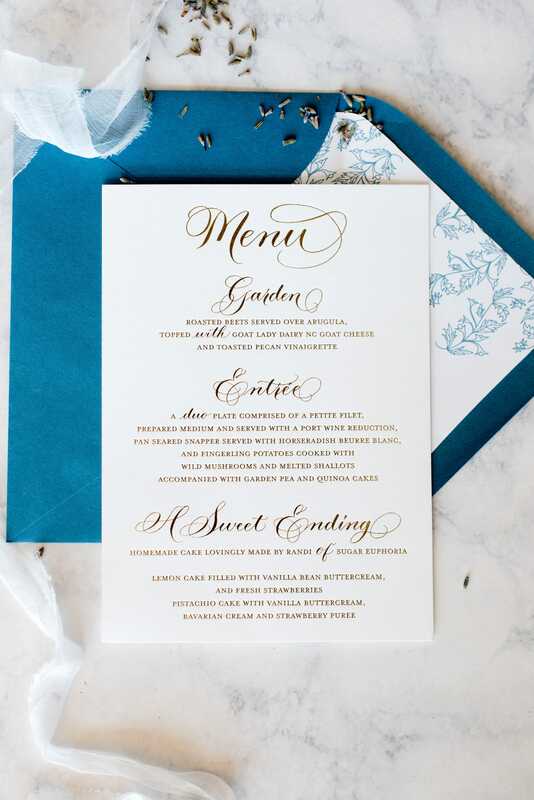 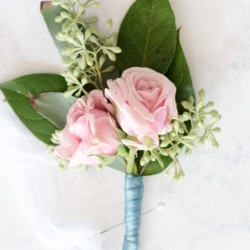 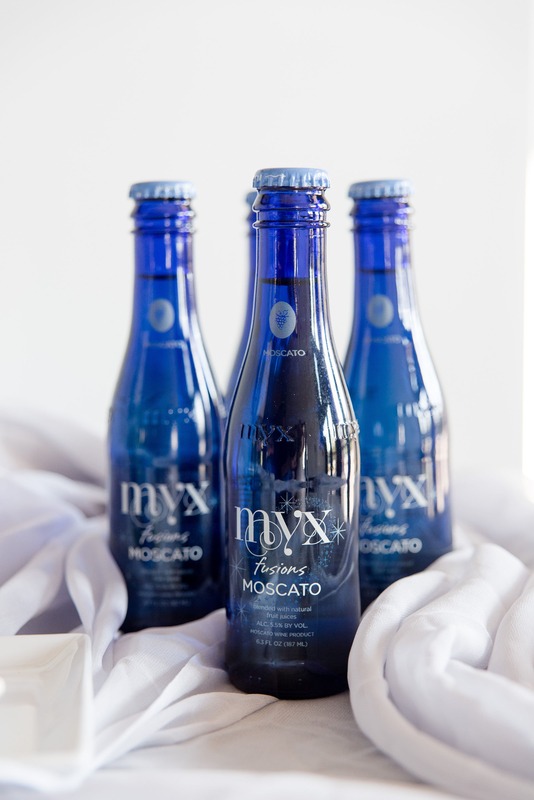 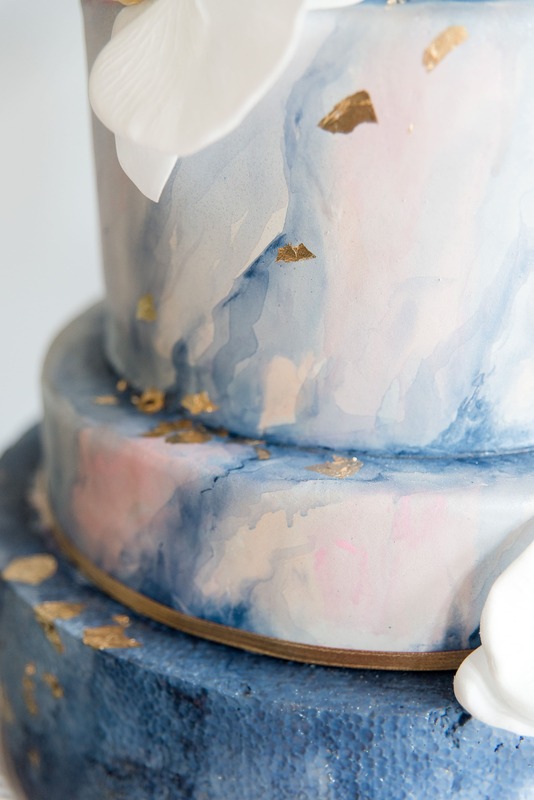 I knew I wanted to focus on blues, but specifically the French Blue, with pops of gold and blush pink throughout. 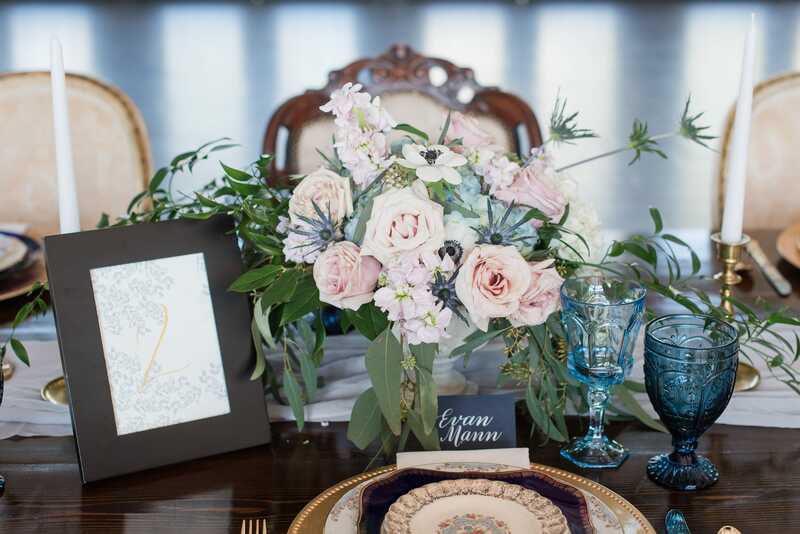 April and Phyllis with Evermore- Classic and Vintage Rentals have so many beautiful pieces, I knew they had to be a part of this shoot! 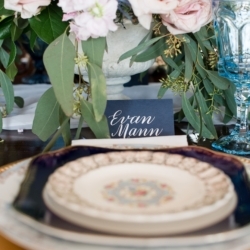 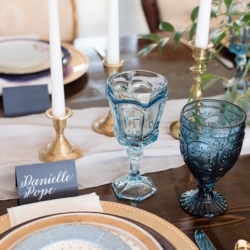 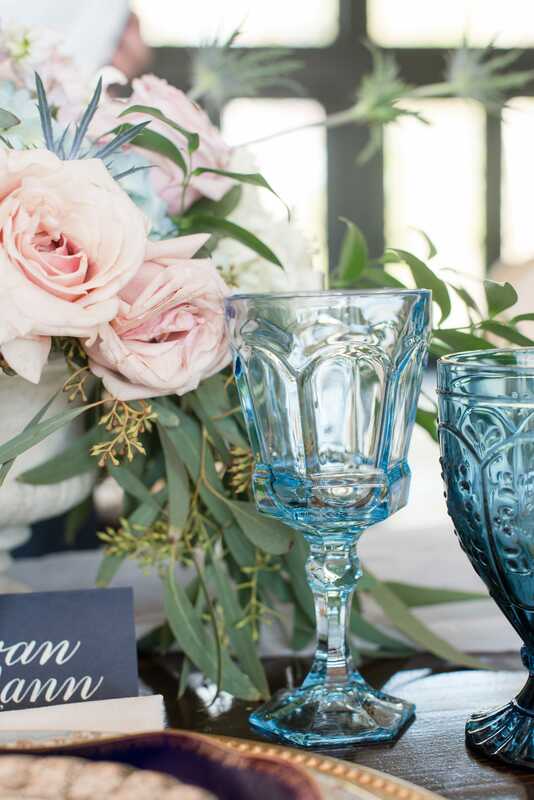 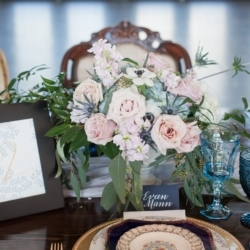 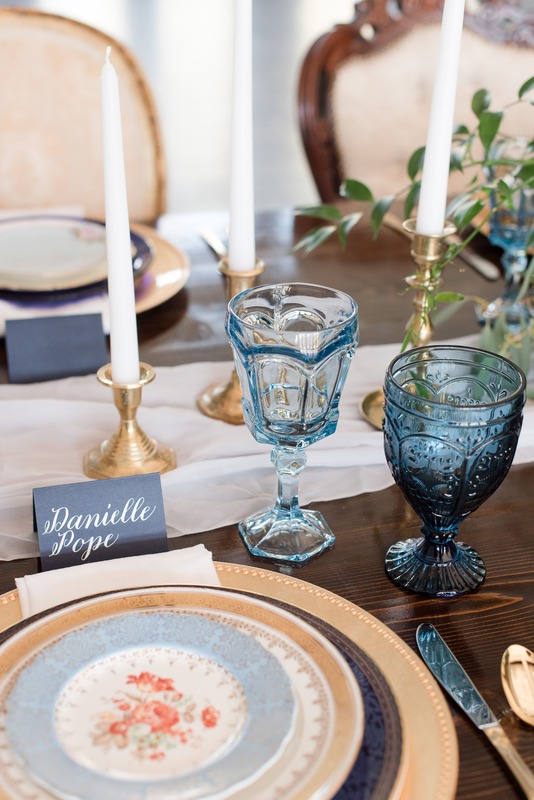 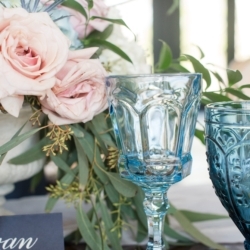 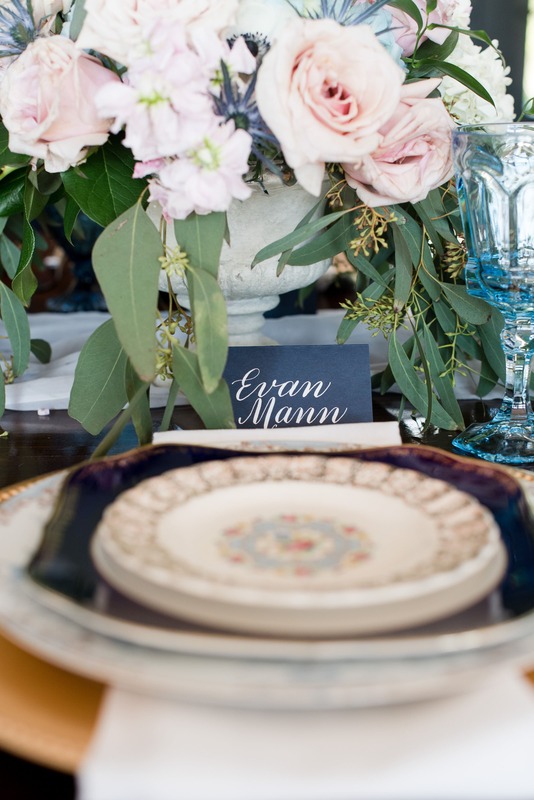 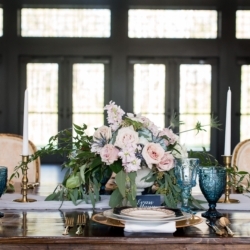 We teamed up to style the tablescape with many pieces from their China collection and blue Depression glass goblets. 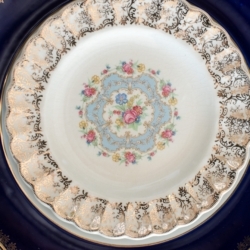 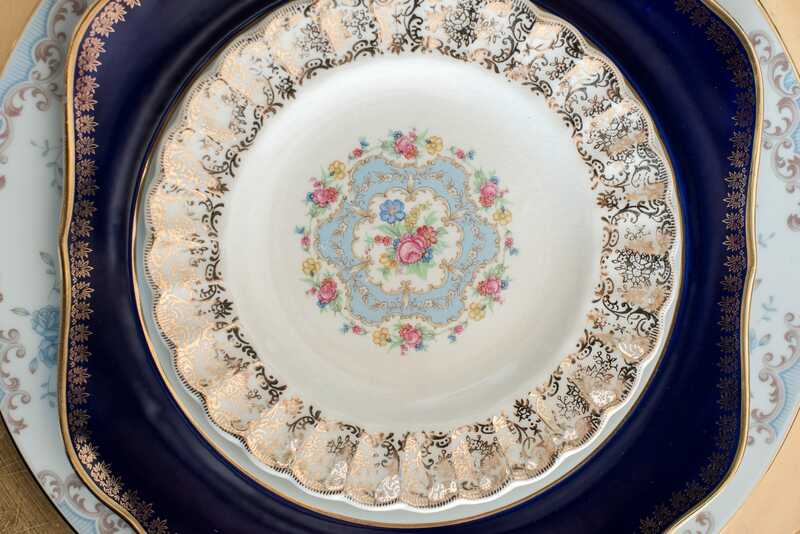 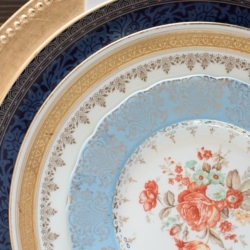 The gold chargers were the perfect addition to tie all the different plates together. 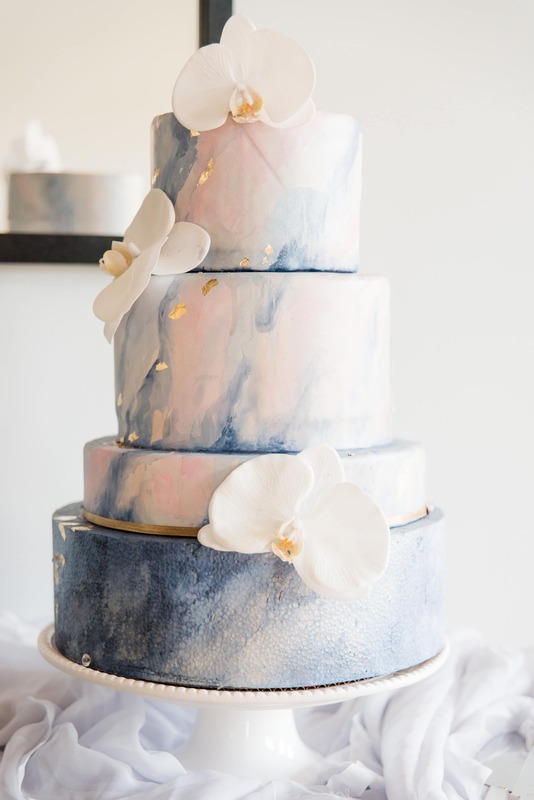 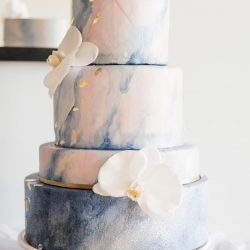 I wanted to have a vintage theme but also create a modern feel, so Ines with Sky’s The Limit Bridal Sweets created a beautiful watercolor cake to bring some modern style into the mix. 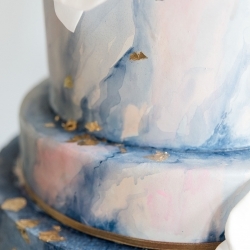 She used blue and pink throughout the cake, with gold leaf for a classic addition to a modern trend. 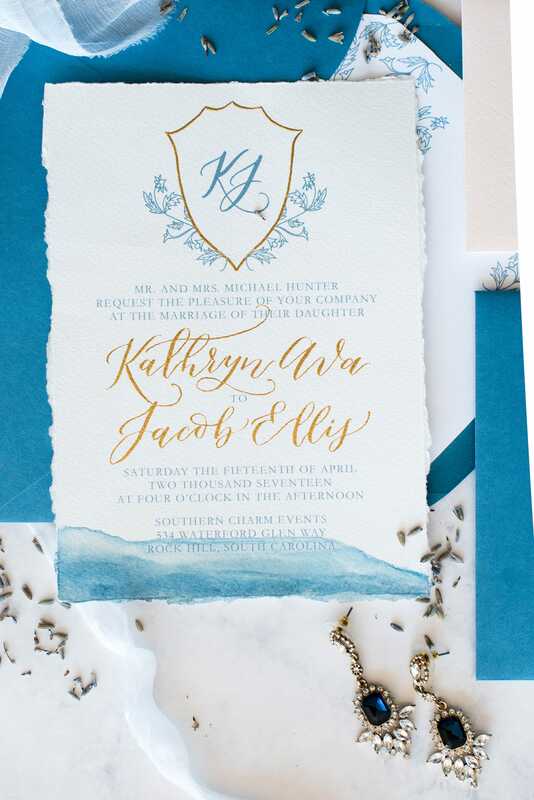 Kathy from Ocean and Coral Creative made a beautiful invitation suite, using both a classic and a contemporary style for the stationery. 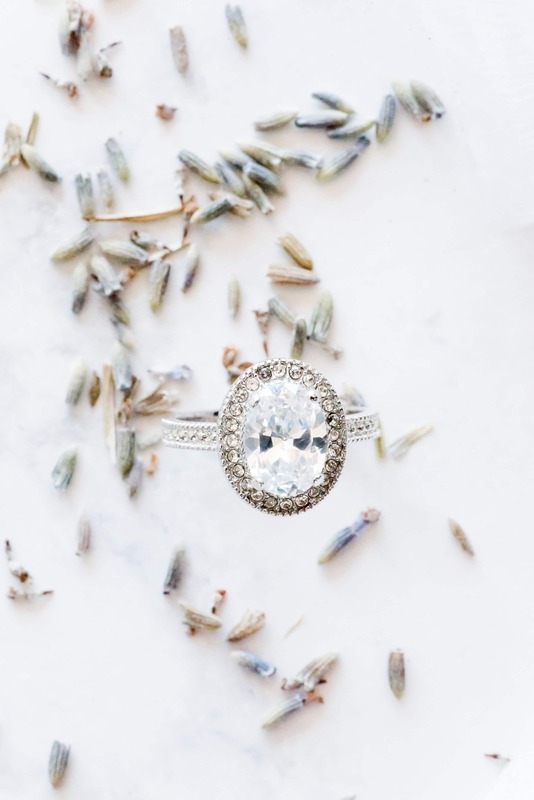 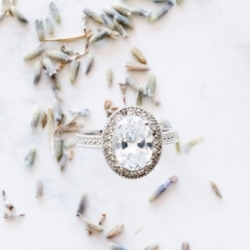 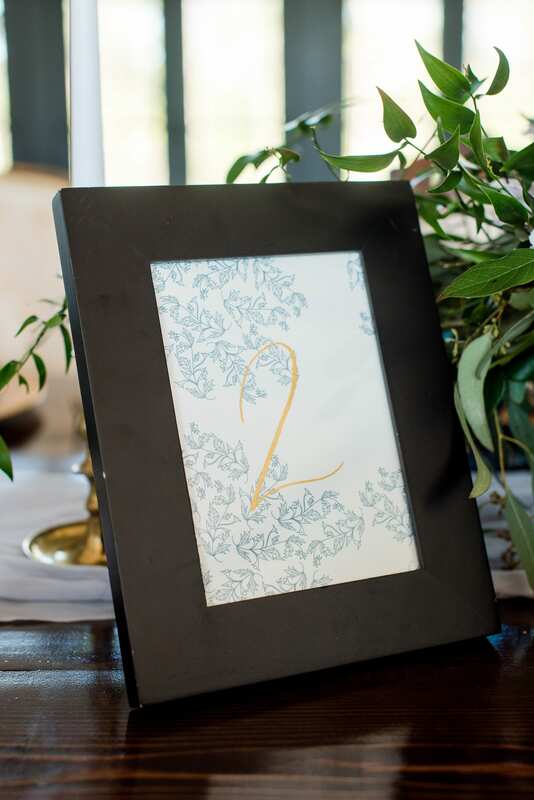 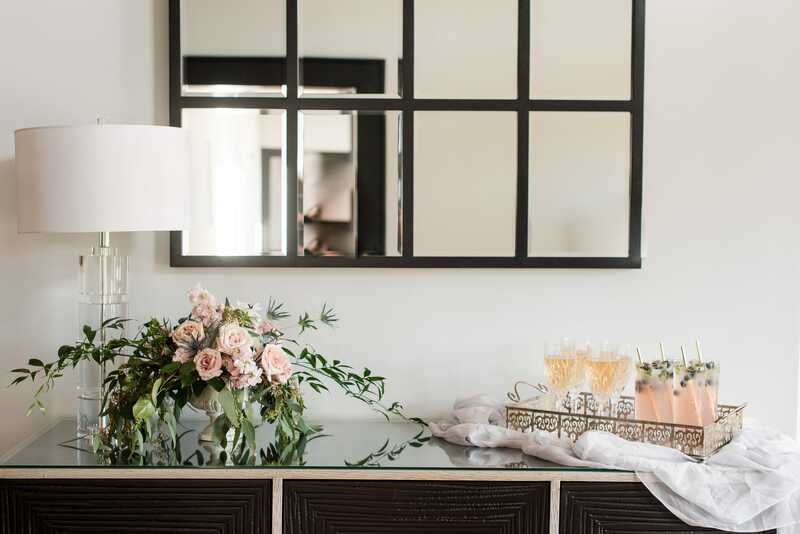 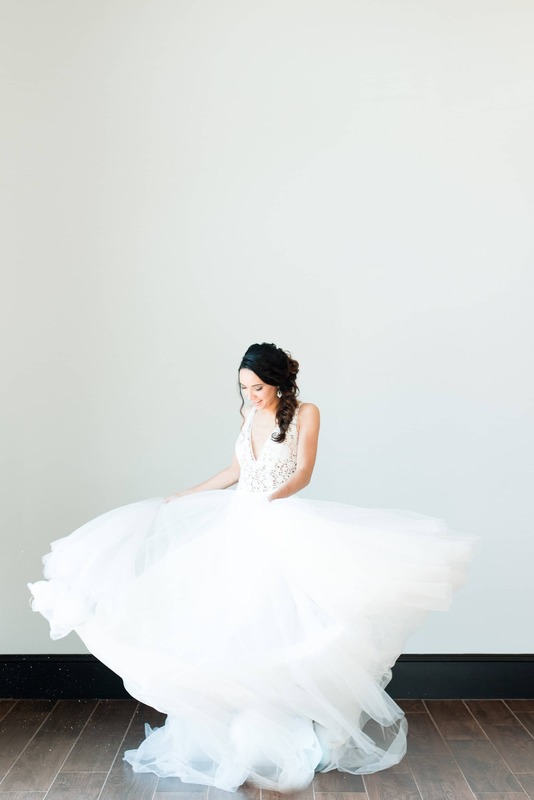 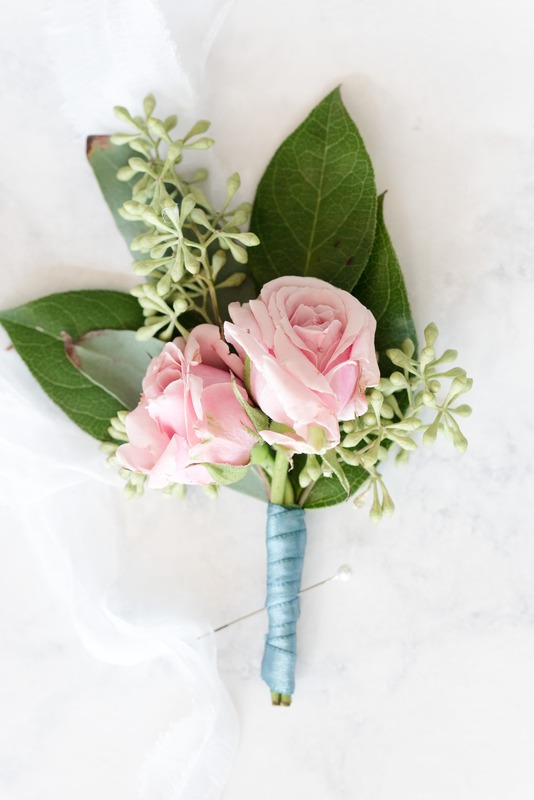 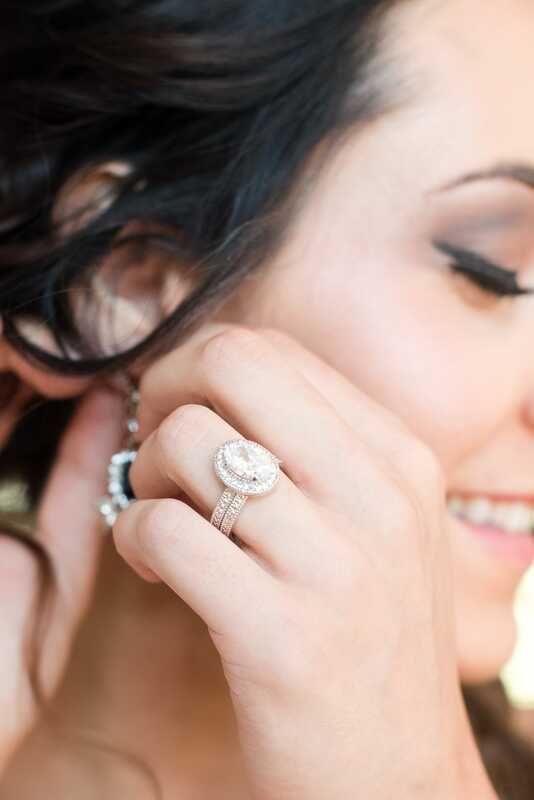 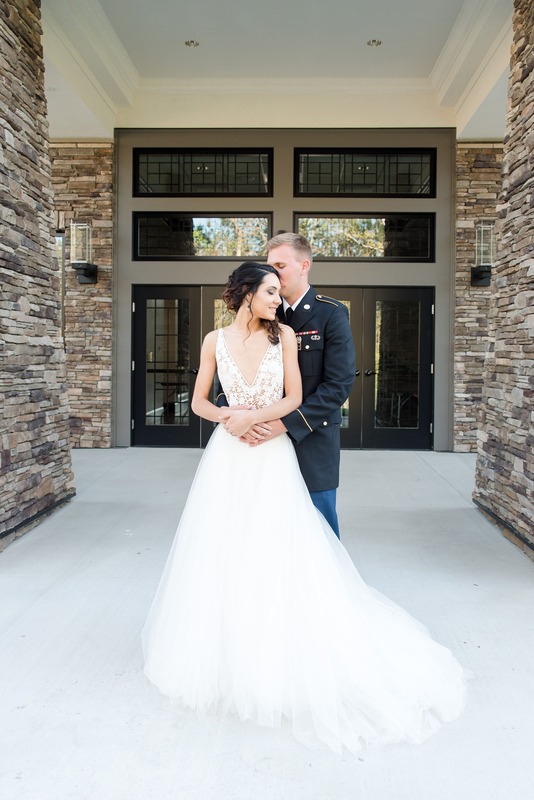 The venue, Southern Charm Events, is new to Rock Hill, and the owner, Danita, really created such a beautiful space to have the best day of your life. 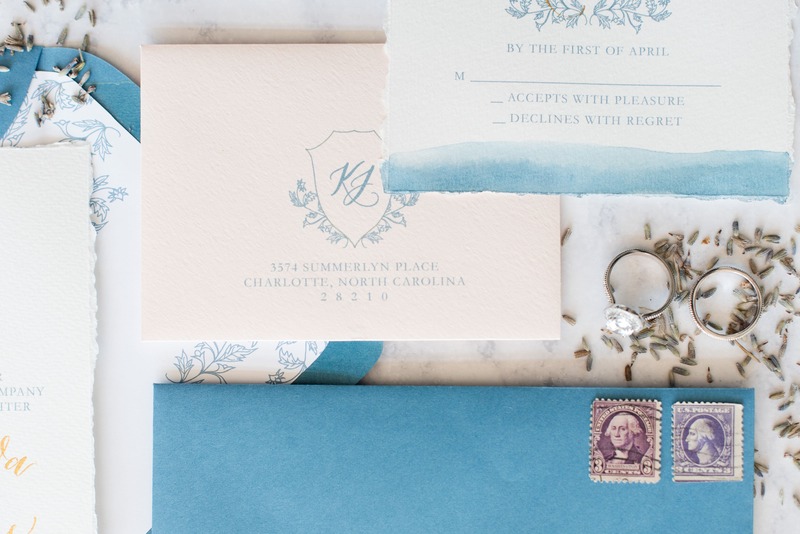 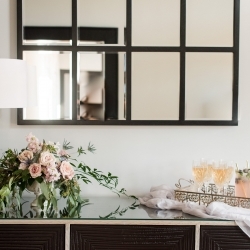 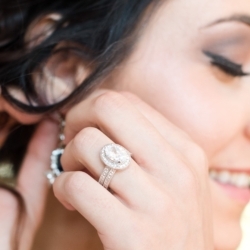 She used her interior design background to create an enchanting venue full of natural light. 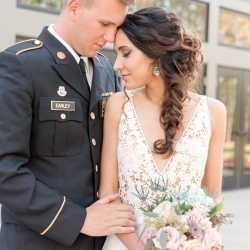 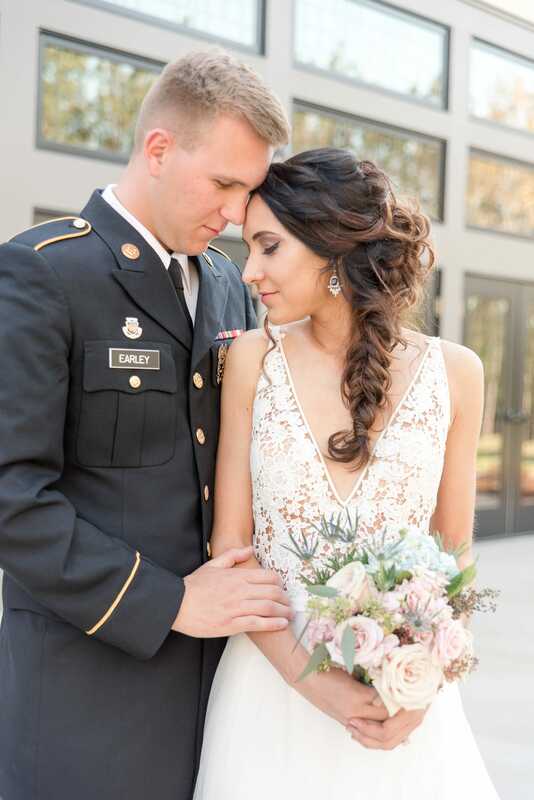 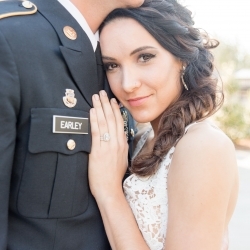 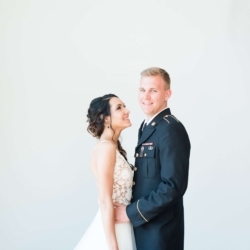 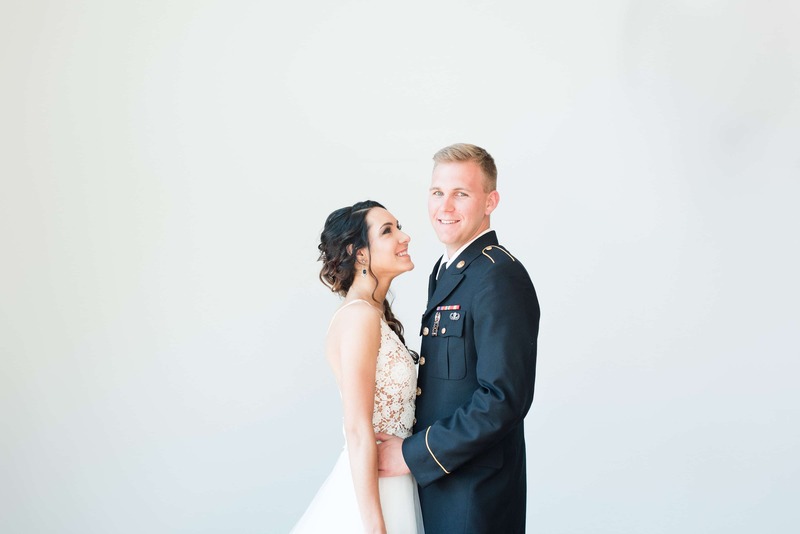 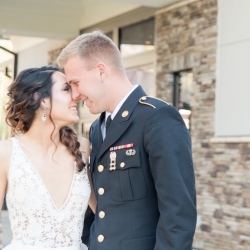 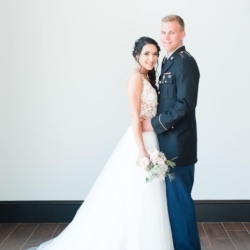 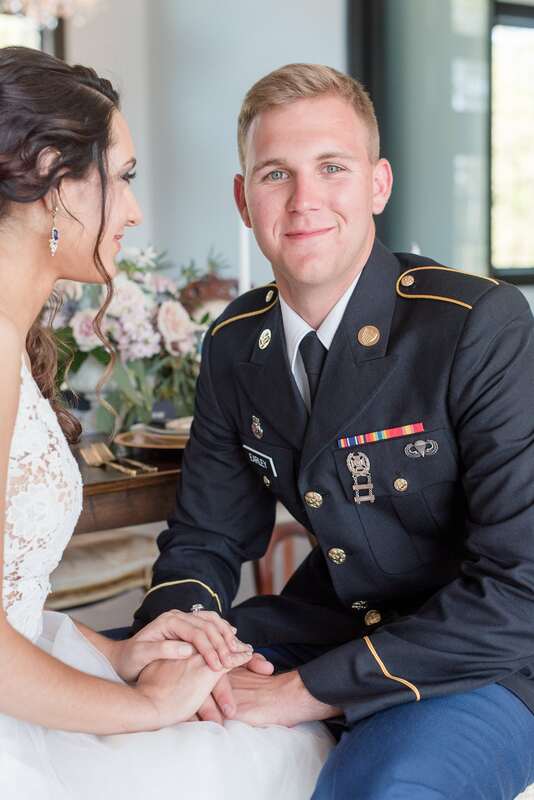 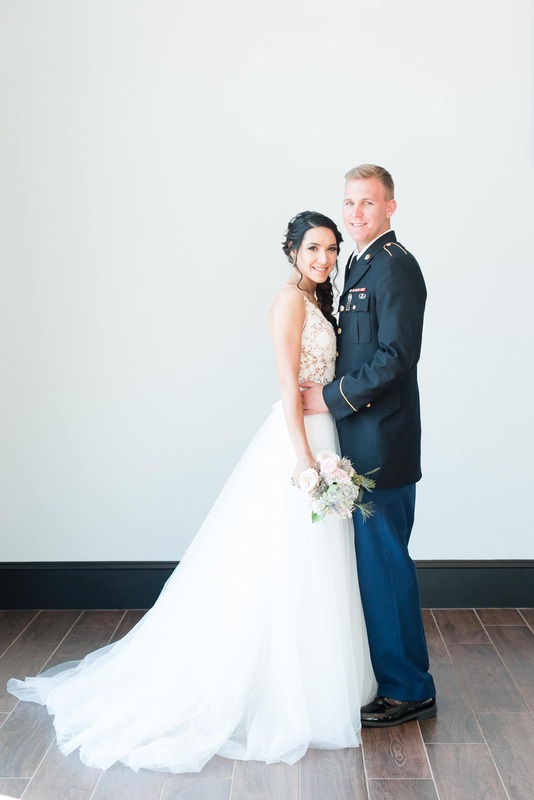 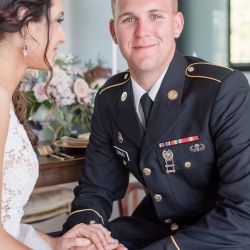 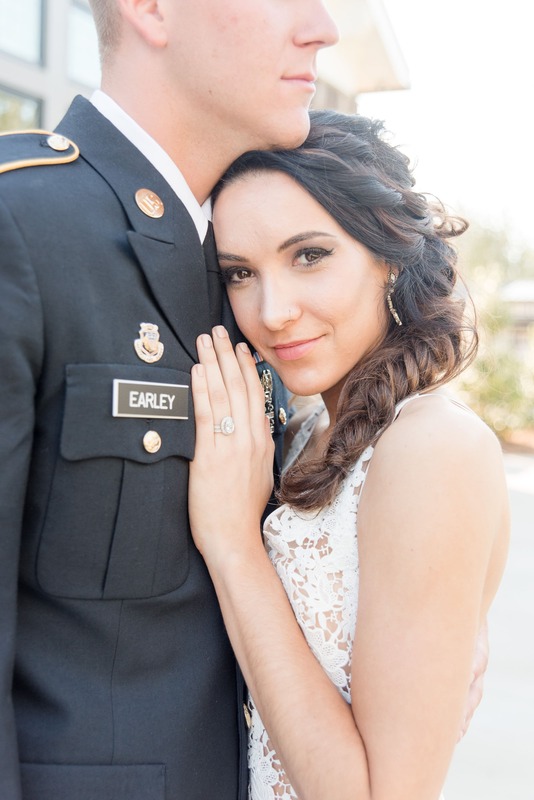 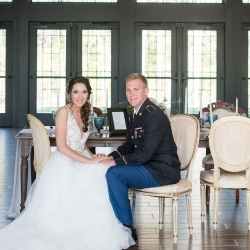 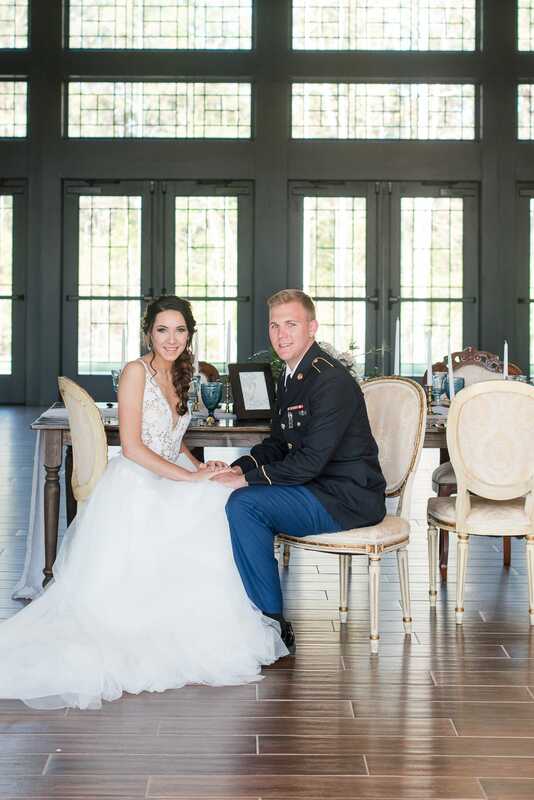 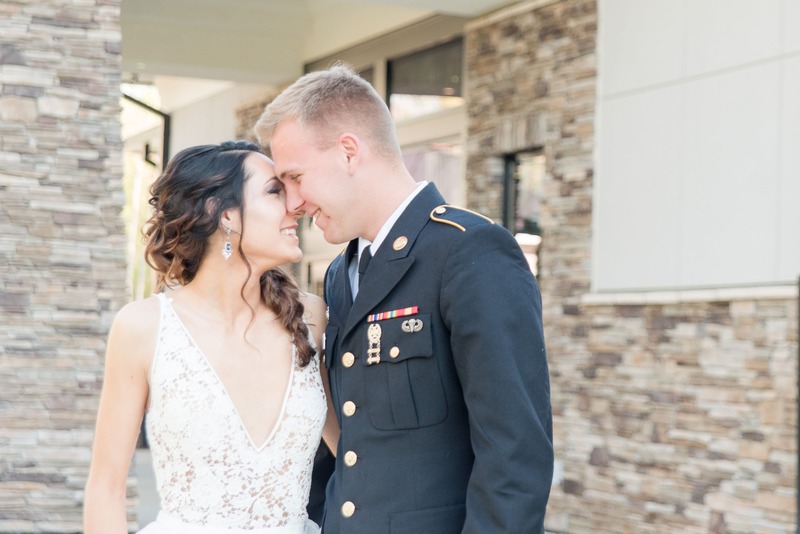 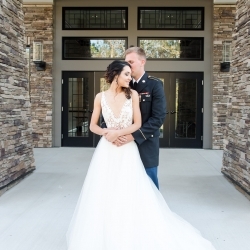 The models, Dana (bride) and Jacob (groom), really connected to create a chemistry that you can see throughout each photo, Jacob had the idea to wear his dress blues to add to the blue theme—plus, who doesn’t love a guy in uniform! 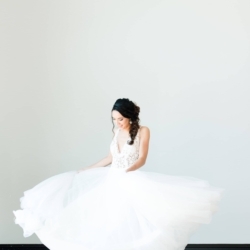 I’m so grateful to everyone that helped make this shoot possible!